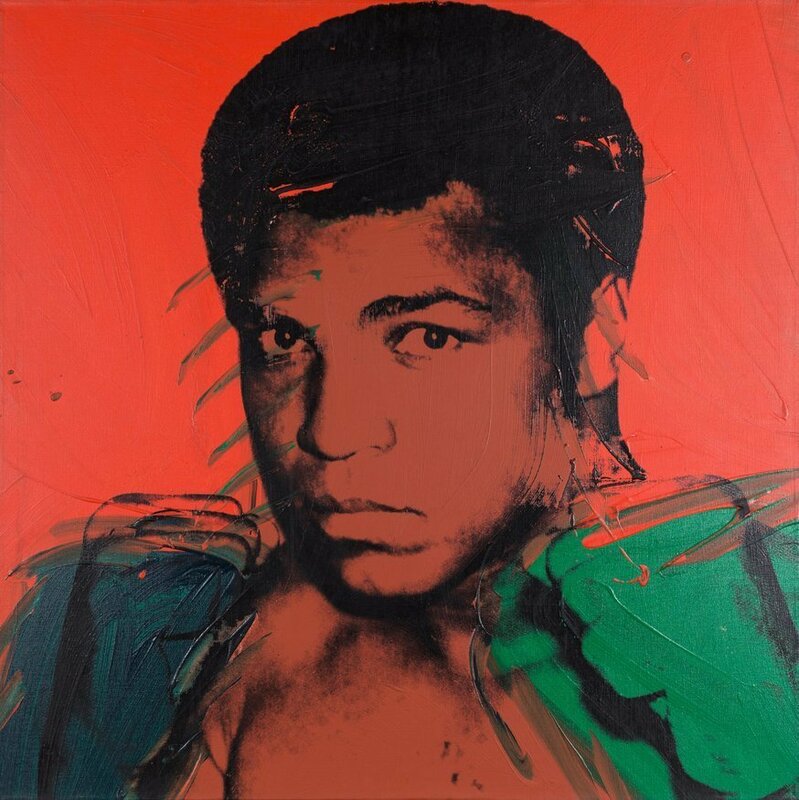 Muhammad Ali by Andy Warhol is in a section on black heroes. Copyright 2017 The Andy Warhol Foundation for the visual arts. These are two of many powerful moments in Tate Modern's exhibition Soul of a Nation: Art in the Age of Black Power, which explores what it meant to be a black artist at the time of the civil rights movement in the US. It's hard to single out heavyweight artworks in this show because there are too many. We've picked a few that jumped out at us. Kay Brown has created a collage where Nixon plays the Devil; pictured playing chess with black children, references his role in the Biafran war in Nigeria. A bullet-riddled door by Dana Chandler is a recreation of the door of Black Panther Fred Hampton; he was shot through it by Chicago police. A damning view of the American people by Faith Ringgold. Copyright the artist. Bobby Seale, co-founder of the Black Panthers, sits in court with his hands tied — artist David Hammons frames this painting with the edges of an American flag — cutting it is classified a crime, and Hammons uses it to contrast the severity of this, with the crime in the picture. 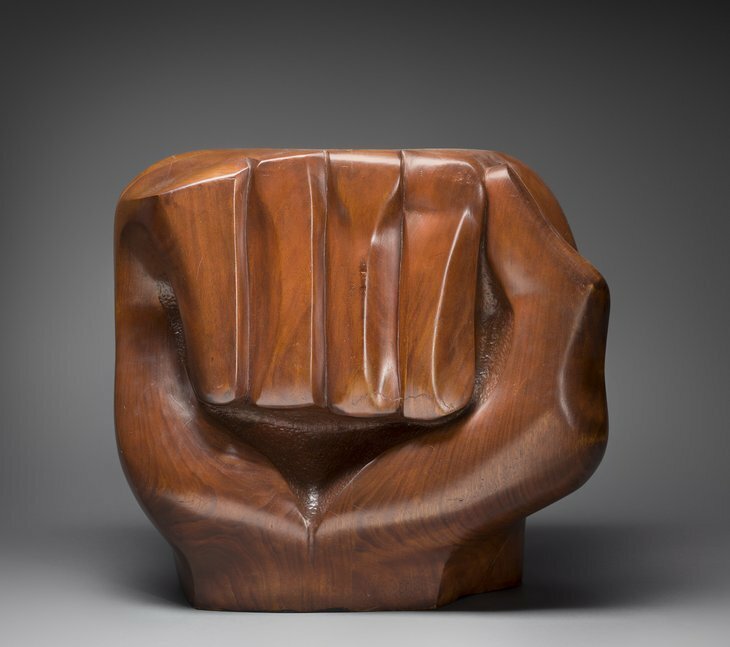 Elizabeth Catlett's mahogany clenched fist. Copyright Catlett Mora Family Trust. Works with a more optimistic message also abound. Elizabeth Catlett has carved a clenched fist out of mahogany — a wood often seen as referring to black people — as a symbol of strength in unity. Roy DeCarava's intimate photographic portraits ensure we see activists as individuals — it's a tender human aspect that is often missed when wider images of protests are shown. We like how varied the art on display is. As well as figurative paintings, photography and sculpture, there's an abstract section. Frank Bowling has created a massive abstract painting where continents and oceans bleed into one, suggesting there is no single heartland for black culture — it remains fluid and evolving. Frank Bowling's abstract work where all continents bleed into one. Copyright the artist. Perhaps not every work here strikes a chord — but the sheer amount of content is impressive and the bulk of works deliver a raw emotional impact. We're glad to report this exhibition captures the spirit of something as vital as the civil rights movement. 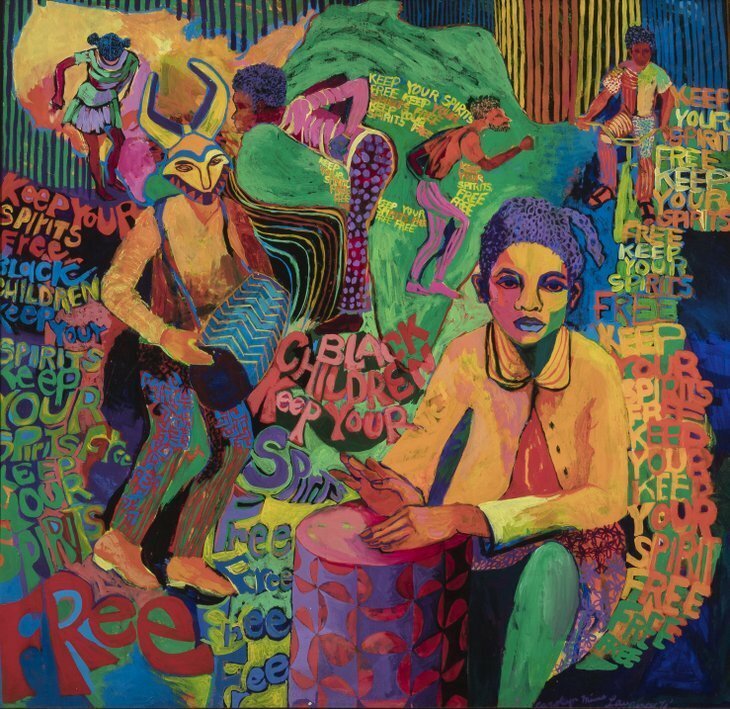 Soul of a Nation: Art in the age of Black Power is at Tate Modern until 22 October. Tickets are £15 for adults.